Cozy hilltop Ranch style home set back from a country road on over 10.6 acres. Potential as a horse property with a gently sloping 5-6 acre hayfield plus additional woodland. 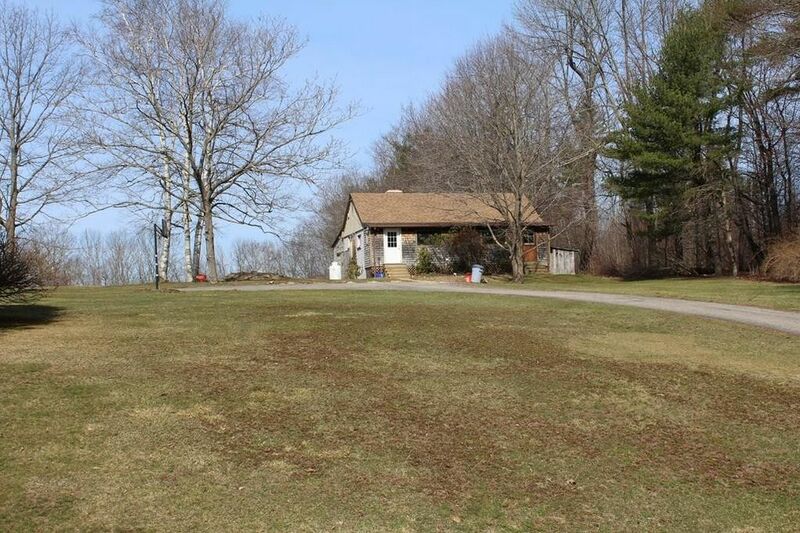 House sits on the crest of the hill with the private field sloping toward the west and Moose Brook near the rear of the property, very pretty setting. The 864 sf, 2 bedroom house is simply finished and will require some repairs and updates, although the roof appears to be in good condition and the septic passes Title V. Because of condition issues this is unlikely to work for FHA or VA type financing. Sellers have never lived in the home. Approximately 8.8 acres in Chapter 61A.